History has sometimes been regarded as a subject which could only be learnt through books. One had to read events and memorize dates and facts. So, the question is, how can one interact with history? With events of the past? How can you add to history today? 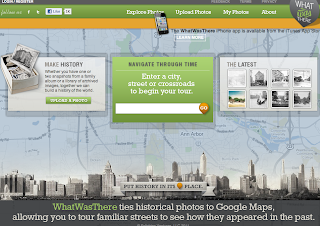 What Was There is a site which invites you to actually see what cities and towns looked like in the past. The site is in progress as visitors contribute with photos by uploading and including a tag of time and place. You can then compare what a city looked like in the past and how it is now. 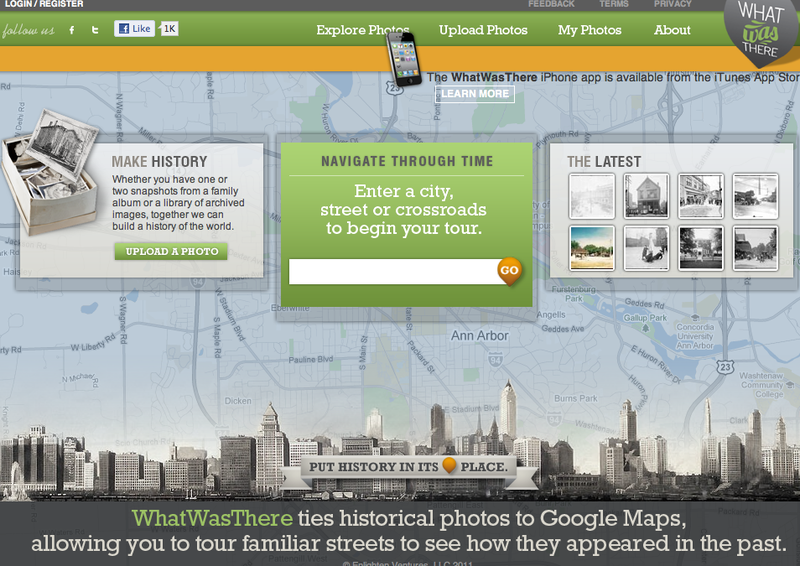 Another similar site is History Pin which shares photos and stories of the past. By contributing, a visual history of communities is available to all. History is no longer only in the domain of books - you too can explore and contribute to a digital history for all. Phile is a like a mini social network which you can use to share interests and details about your favourite topics. In some ways, it works a bit like a wiki or listing of information, as information is stored and can be revisted and added to. 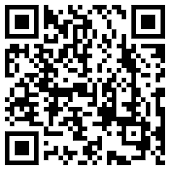 With a simple click you can start a group and share that site with whoever you want to. What groups will you be creating with Phile? Brave, courageous, visionary, determined, inspiring - all words one may associate with heroes. History's Heroes? 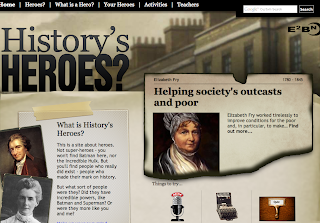 is a cool site which discusses what is a hero is and focuses on different personalities who may be regarded (or not) as heroes - the choice is yours. 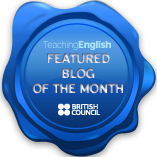 Activities include recording your own speech, encoding a message and taking quizzes. You may cast your vote, deciding whether an historic personality was a hero or not and even submit your own choice of hero to share on this site. 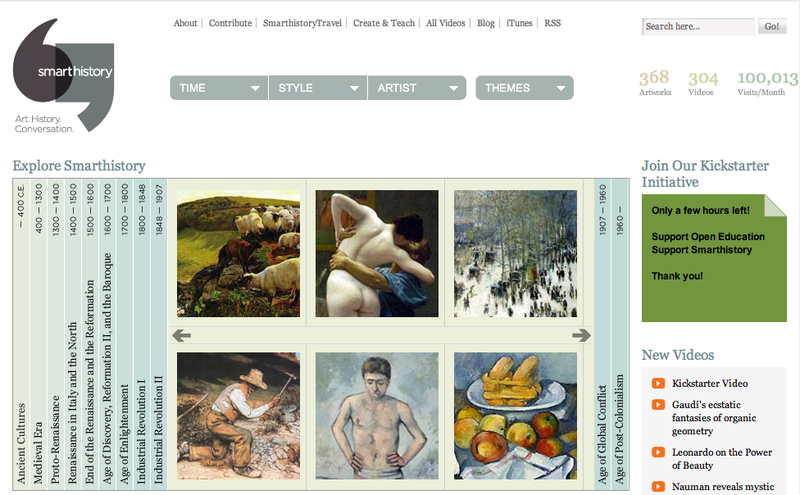 Smarthistory is another site related to history which is worth visiting. Basically, Smarthistory is a multi-media web-book, where readers can explore art according to time, style, artist or theme. 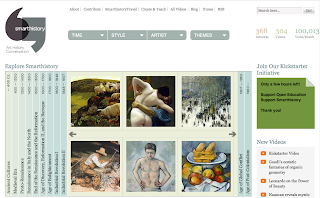 Smarthistory is not only for art students, but for anyone with an interest in the arts. There is also a section with videos - in all, a great site to learn more about the arts and artifacts in museums around the world. And if you are looking for an adventure in time, why not experience a trip to the moon with We Choose the Moon which celebrates Apollo 11's landing on the moon? We Choose the Moon is an interactive site where you can hear all the excitement of the countdown and trace the phases of Apollo 11's flight. And with all these sites, why not create cool timelines with Dipity (which I have mentioned here)? 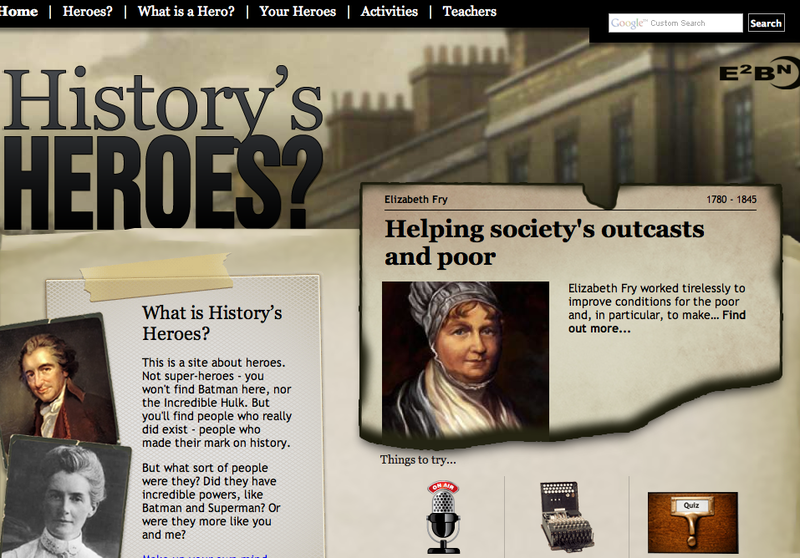 History projects have never been as rich and engaging as now with these resources which are freely available. Education takes on different shades of meaning, depending on the point in time and the different contexts where education takes place. Generally speaking though, we can consider education being concerned with developing the human capacity of knowing, understanding, making critical choices, and behaving intelligently. Education in a broad sense is being able to conceptualize problems and how to find possible solutions. It is making sense of experiences, whether of one's own or of others (for example, through literature). However one wishes to perceive education, one always returns to learning processes. In turn, learning somehow transforms us and how we see and value things in life. As Richard Pring explains, " Educational experiences do not leave people as they were". But what happens when this learning process centers on autonomy and learning independence? Why should learners be encouraged to become autonomous in their learning? Education today includes more choices - we can exercise autonomy as to what to learn, where to learn and how to learn. Reflecting on what makes an autonomous learner succeed, or rather, what characteristics an autonomous learner has, becomes necessary so that other learners may also share those skills or characteristics. In a recent posting, Jenny Mackness raises these issues and shares her insights into autonomous learning by questioning the characteristics an autonomous learner should have (CCK11 Characteristics of an autonomous learner). When reflecting on learning processes, one inevitably asks questions as to the role of the learner and the teacher. 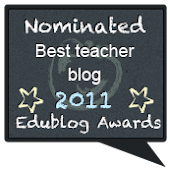 Is the teacher to be a source of information or a facilitator in the learning process? In an age where boundaries are quickly evaporating with the spread of learning networks and increasing open sources of knowledge, making choices as to what kind of learning habits should be encouraged, is an issue which will not simply go away. How do you encourage learning autonomy?